This year, the Jeunesses Musicales Norway initiative LOUD! launched a leader exchange programme with its Icelandic equivalent Stelpur Rokka! Both LOUD! and Stelpur Rokka! are band camps specifically for girls, connected to The Girls Rock Camp Alliance (GRCA), a network of over 60 girl’s rock camps all over the world. The programme is a way to share experiences and expertise across nations, with the purpose of making safe environments for creative expression for young girls. 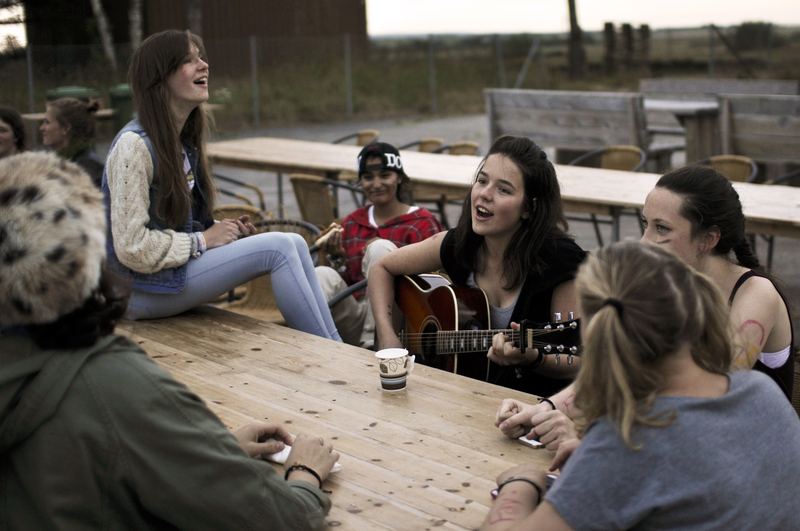 Three delegates from the Norwegian camps will travel to Iceland and spend a week working at the popular Stelpur Rokka! In turn, LOUD! will be hosting three delegates from the Icelandic organization, who will take part in creating an amazing summer camp for the participants. LOUD! is being held in beautiful Fredrikstad, Norway, during the first two weeks of summer vacations. There, girls from the ages of 11 to 17 will learn to play instruments, form bands and write songs under the guidance of professional musicians and passionate volunteers. JM Norway strongly believes that camps like these will contribute in building self-esteem, musical interest and skill among young girls. This, in addition to the close interaction with positive role models, can help lowering the threshold for girls wanting to enter the music industry.